RIM has cut its prices for the Blackberry Playbook by 50%. 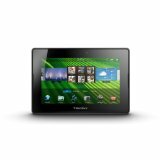 Starting with $199 for 16 GB Playbook, $249 for 32 GB and $300 for 64 GB. It is only available in the US market until February 12th, 2012. Get it at your local Walmart or Bestbuy. Also check Amazon to see if they have this in stock also.